McDonald's will be releasing 20 million packets of Szechuan Sauce at locations nationwide on Monday, February 26, 2018. You can score a packet with a qualifying purchase (of either Chicken McNuggets or Buttermilk Crispy Tenders), while supplies last. 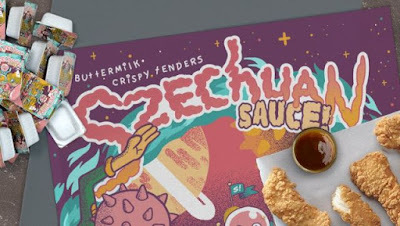 The release is a promised make-good due to a very limited launch last October which very quickly ran out and caused a big backlash against the company from fans of the sauce. 20 million sauce packets amounts to about 1500 per restaurant.